Google may have glasses and Apple may be rumored to be making a smart watch. Now Microsoft may be effectively buying itself a wearables play by paying up to $200 million for a trove of assets and patents from San Francisco’s quiet Osterhout Design Group, a longtime U.S. military contractor. The deal is not yet closed but we’re hearing that term sheets are down. They are still negotiating on price and what will ultimately be included in the deal between Osterhout’s many patents, which number at more than 140, its staff and more. From what we understand, the price discussions are centering around what Microsoft will buy from ODG: whether it will include only patents, or whether it will also include existing contracts, and staff. Google, Samsung and LG apparently also expressed interest in the company, but Microsoft is the one that pursued it the most aggressively. ODG has been around since 1999, and as befitting its line of business working on military technology, has been very much under the radar. The only investor in the company listed on its Crunchbase profile is David Spector, a former partner at Sequoia who is now working on his own startup, meCommerce. We have reached out to ODG and Microsoft to comment for this story and will update if they respond. Microsoft is at a turning point as a business, where it is taking a bigger step into two key areas around hardware and enterprise services. This deal, originally championed by Xbox and Kinect head Don Mattrick before he left to be CEO at Zynga, is one that could help it in both of these areas. Osterhout has built a military contracting business over the last several years that has about $40 million to $50 million in contracts. The U.S. government is one of the company’s largest clients. Osterhout pitches its technology — which, for example, could be used in headgear that can help the wearer detect the direction of fast-moving objects, or those that are behind closed doors — not at consumers but at large enterprises and other organizations. Microsoft already has a huge government business. But what makes this potential acquisition so interesting is that it could be used in other areas, too, such as Microsoft’s consumer business, as exemplified by its Xbox operations. As you can see, in the recent reorganization that Microsoft laid out yesterday (right), Hardware (1) remains a key part of the company’s structure. Looking at the portfolio of what Osterhout, its eponymous founder Ralph Osterhout, and his teams over the years have developed, you have the very definition of “gadget,” running seamlessly along a spectrum that includes the soldier of the future at one end, and children’s toys at the other. “Very Robocop. Very Terminator,” is how a source described Osterhout’s wearables to us. From pens that can be turned into guns, darts and computers; through to one of the earliest touchscreen facial recognition and iris ID handhelds, it’s a range that in some ways feels straight out of a James Bond movie. No surprise, then, that Ralph Osterhout has also worked on props for that film series. All the same, in terms of what Osterhout is working on right now, it’s not exactly a Google Glass killer. In fact, the glasses the team was working on did use the Android OS. 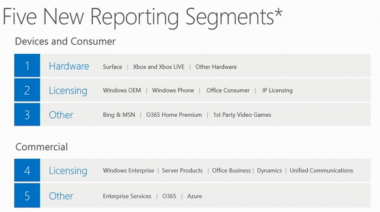 Apart from that, in picking up the patents, Microsoft could beef up another part of its business, that of Licensing (number 2 in the above list). 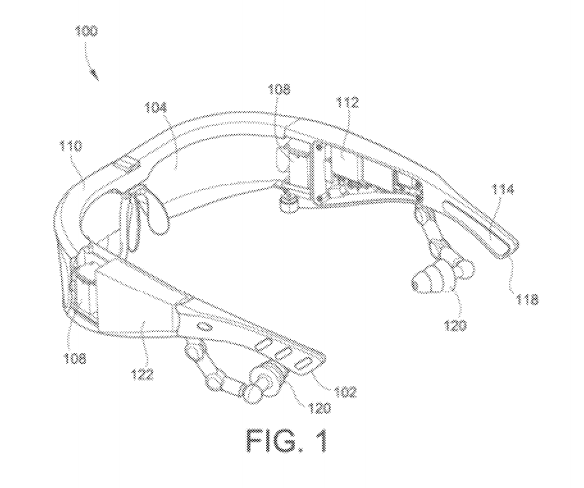 Osterhout’s patents cover “everything related to products like Google Glass”, we’ve been told — potentially setting the stage for what could become the next IP battlefield, with the military-focused ODG’s IP the latest weapon in Microsoft’s artillery.